In our last blog Grow Author Jim Stengel “Great Leadership Follow Common Practices” we discussed the five leadership practices great leaders follow and learned: Maximum growth and high ideals are not incompatible. They’re inseparable. 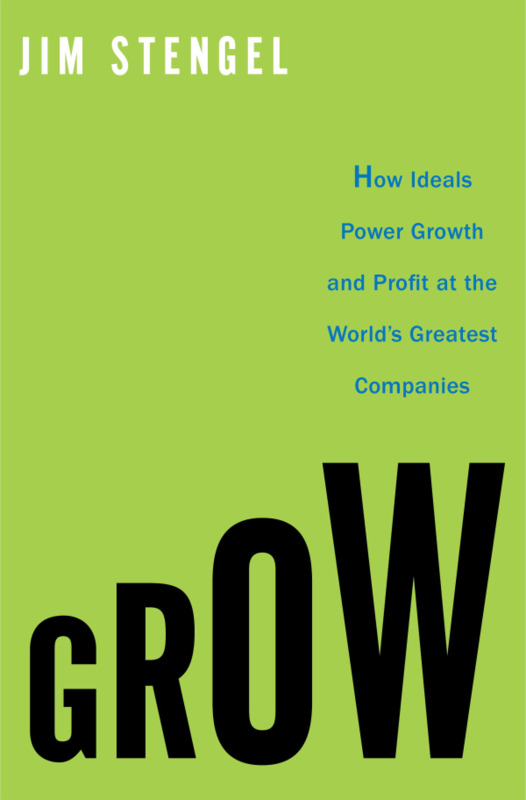 At the Growth Summit last week in Atlanta one of the speakers was Jim Stengel, former Global Marketing Officer of Procter & Gamble and author of Grow - How Ideals Power Growth and Profit at the World's Greatest Companies. The data from a ten-year-growth study of more than 50,000 brands around the world show that companies with ideals of improving people’s lives at the center of all they do outperform the market by a huge margin. 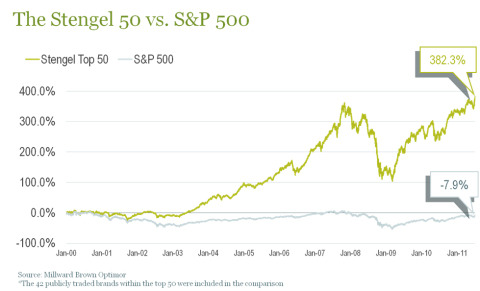 An investment in the Stengel 50, the top 50 businesses in Stengel's ten-year-growth study, would have been 400 percent more profitable than an investment in the Standard & Poor’s (S&P) 500. The central finding—that businesses driven by a higher ideal, a higher purpose, outperform their competition by a wide margin, and frequently create both new businesses and entire new business sectors—corroborated what Stengel had implicitly believed and acted on throughout his career. I’m not sure when you read the four findings whether or not you will get the full impact of their intention. For that you may need to read the book. What I do know from my AML experience is that hospitals are sitting on a powder keg of opportunity to combine this ideal of improving lives with business leadership and their operating system. Over and over when I’ve been in treatment I’m struck by the passion that nurses have for their craft and their customers. In another book I’m reading Tribal Leadership, Griffin Hospital in Derby, Connecticut, is described “like going to Nordstrom’s for healthcare.” Yet before changes in leadership were made the hospital was crumbling. Many of the principles described in Tribal Leadership mirror Stengel’s Grow and Lencioni’s The Advantage. The point here is what’s your high ideal for improving people’s lives? What inspires your people to achieve this? Have you been able to identify and communicate this to your team? This ideal is one of the reasons Gazelles coaches place such a high emphasis on identifying your Brand Promise and discovering Your Inside Advantage. The One Page Strategic Plan is an important element of building your business because it keeps the fundamentals always in front of you. STENGEL STUDY FINDING 1. BRAND IDEALS DRIVE THE PERFORMANCE OF THE HIGHEST GROWTH BUSINESSES. 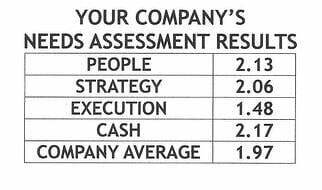 The first and central finding of the Stengel Study, validating the 2006 P&G study across a longer-term sample and more comprehensive performance metric (consumer bonding and financial growth), is that leveraging ideals of improving people’s lives is driving the performance of the world’s fastest-growing businesses. STENGEL STUDY FINDING 3. THE HIGHEST GROWTH BUSINESSES ARE RUN BY BUSINESS ARTISTS, LEADERS WHOSE PRIMARY MEDIUM IS BRAND IDEALS. The most powerful and profitable tools in business are ideals—ideas for improving people’s lives that speak directly to their instincts, emotions, hopes, dreams, and values. STENGEL STUDY FINDING 4. BUSINESS ARTISTS EXCEL IN SIMILAR PRACTICES THAT CONSTITUTE AN OPERATING SYSTEM FOR GENERATING AND SUSTAINING HIGH GROWTH. The business artists in the Stengel 50 excel at: Discovering, or rediscovering, a brand ideal in one of five fields of fundamental human values. Building the business culture around the ideal. Communicating the ideal internally and externally to engage employees and customers. Delivering a near-ideal customer experience. Evaluating business progress and people against the ideal. How does one go about implementing these findings? Stengel suggests building a root structure or Ideal Tree. We’ll explore that and more in my next blog. Enjoy your Memorial Day Weekend. Today I finish the tenth and final day of my fourth round of chemotherapy. I’m thankful being able to be home despite the treatments I’ve been receiving. It will be a holiday for me if I’m able to spend less time in the clinics and hospitals then I’ve been for the past ten days. Thank you for reading, and if you’re a nurse or someone in the health care field, thank you for being so passionate and caring to those of us who need your attention and care!